Only six days away from the new year… Win #6 in the #TaxCutsAndJobsAct is that it kept tax benefits Americans count on, like the adoption tax credit and tax-free graduate tuition waivers. [….] Democrats didn’t vote for $1.5 trillion in debt. 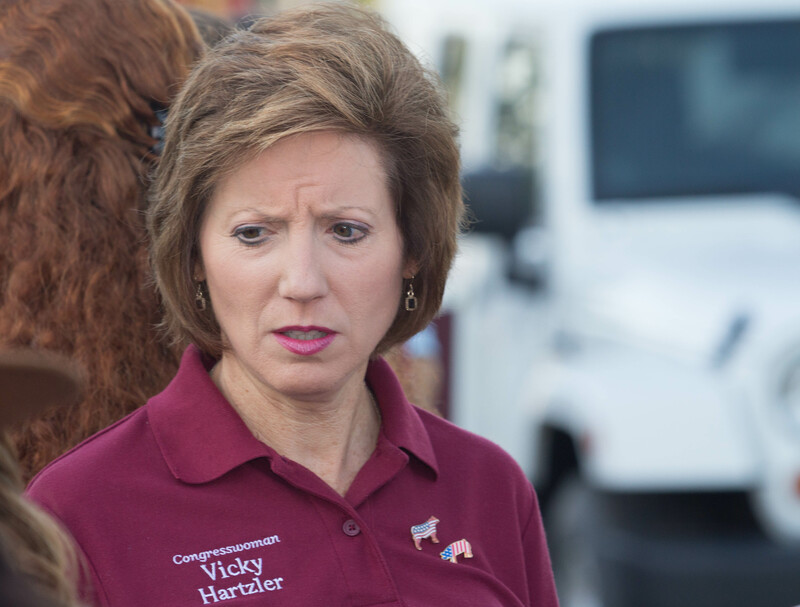 Democrats will work to stop Vicky Hartzler from stealing our Social Security and Medicare. I voted for the Congresswoman because she ran on cutting the deficit. She betrayed my vote by voting to increase said deficit by over a trillion. [….] I don’t care what Obama did. I didn’t vote for him. I voted for a congresswoman who ran on reducing the debt. However increasing the deficit by permanently reducing taxes on the extremely wealthy and reducing incentives for charitable donations will impact our district for generations. Still your mistake for buying in. Big loss for the country . Big loss for taxpayers next November big loss for Hartzler. In Vicky’s telephone town hall, she saw no problem with the tuition waivers being taxed. Exactly. What part of my Medicare will you be taking Vicky? How tragic it is to have such a disingenuous Congressperson selling out We The People. How about that trickle down?